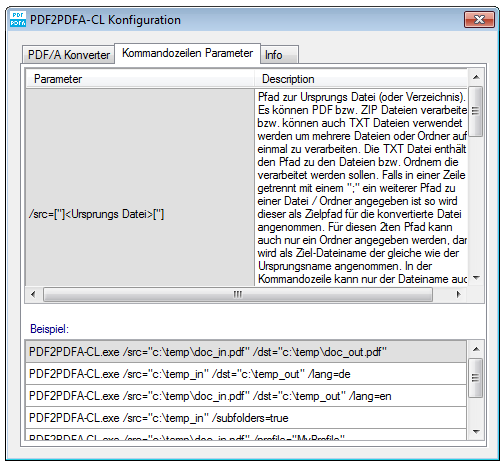 Folder/subfolder-processing – With this all files inside the input-folder defined by the /in= parameter will be processed and stored in the output-folder defined by the /out= parameter. 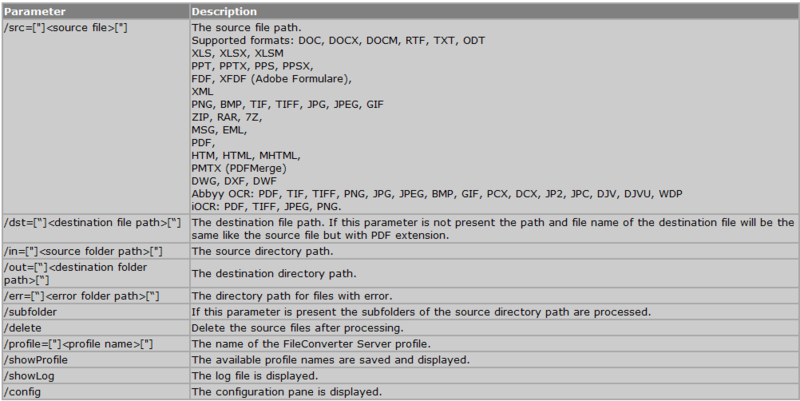 With the additional parameter /subfolder also subfolder-structures can be processed. Inside the output-folder the structure of the input-folder is rebuilt 1:1 exactly the same. 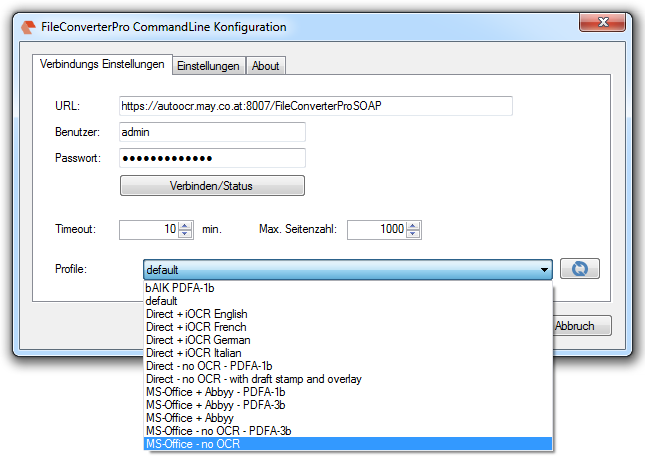 Displaying and saving of the FCpro – profiles – via /showprofile all profiles available on the FCpro server get read, saved in an ASCII file and displayed. This is to prevent false inputs when using the wanted profile-names in the command-line. 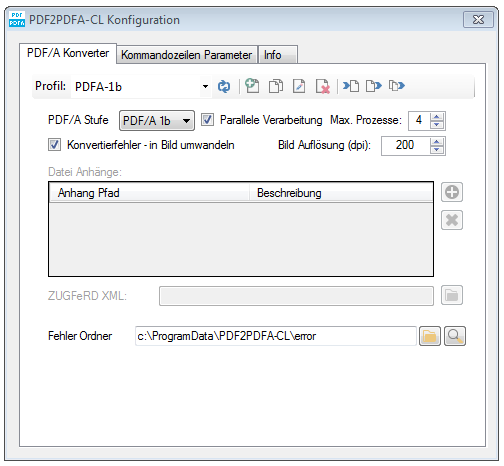 Error-folder – via /err= a individual error-folder can be passed. 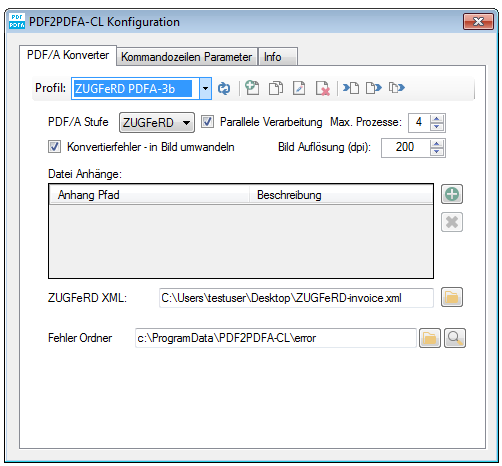 In case of an error the file is moved to this folder. 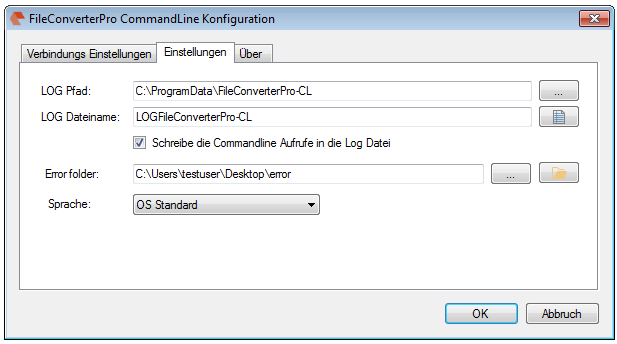 If the parameter isn’t set the configured standard folder will be used. 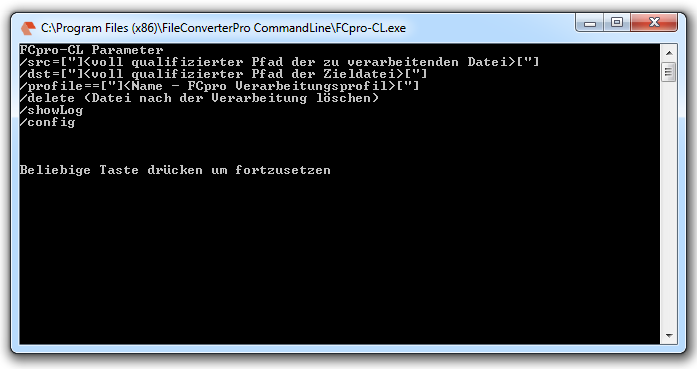 With the FCpro-CL tool documents can be converted to PDF(/A) via commandline call. 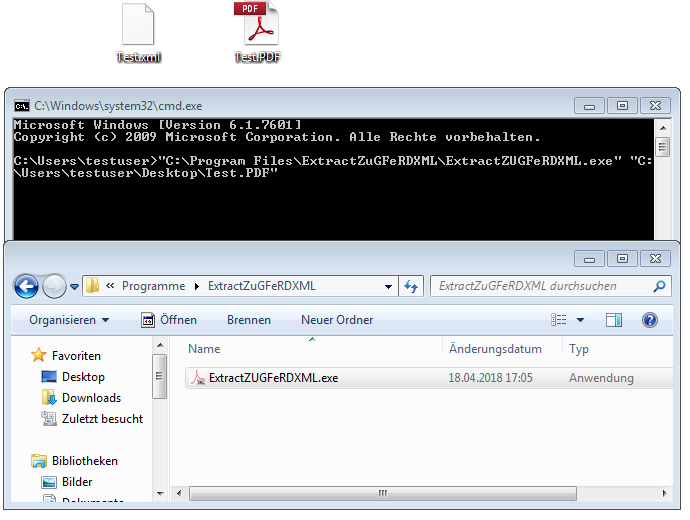 The installation can either be local or on the same pc where also the FileConverterPro service is installed or also on a remote pc (internal network or internet). 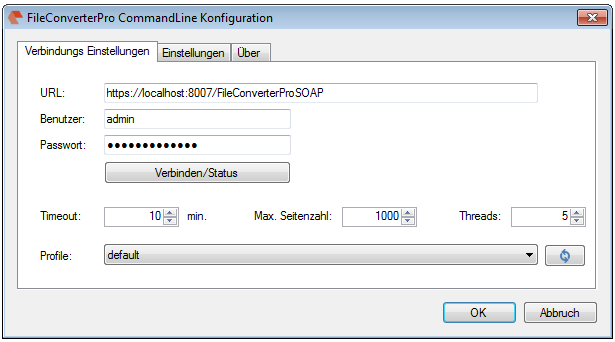 The communication between the FCpro-CL tool and the FCpro server takes place via SOAP web-service through HTTP / HTTPS.